I've been avoiding it for the longest time, but alas, this time of the year has come. It's a few days away from the 23rd. 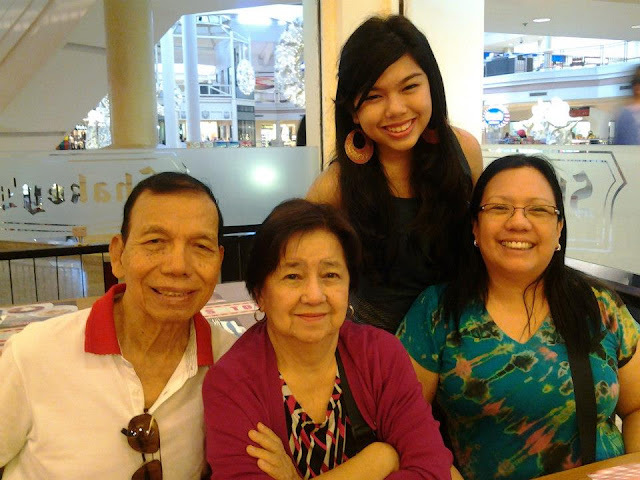 And that means it has been a year without you, Tita Gina. Is it fitting that I woke up today with news of another person's loss? Today I found out that a writer I admired so much, Luis Katigbak, had passed. And this week, another legend in the English department died too, my Shakespeare professor, Dr. Wilhelmina Ramas. Oh, and to make April even more somber than it already is, the Faculty Center was reduced to ashes the first day of this month. Slowly and surely, the universe has found a way to claim so many things I hold dear. Isn't April the time for spring? Last night, as if on cue, Twitter reminded me of an article on BrainPickings about a children's storybook on death. It was "Cry, Heart, But Never Break" by Danish author Glenn Ringtved and illustrator Charlotte Pardi. It's a contemplative tale about four children whose grandmother is terribly ill - and Death has come to claim her. And so they devise a way to keep Death busy all through the night until dawn breaks, that way when morning comes, he'd have to leave without her. What makes the book particularly touching though is how broken Death himself was the entire time. Despite being all clothed in black, he embodied neither fright nor anger - just dispiritedness - as if he too is overcome with sorrow and resignation with his mission. Is Death a friend? This is a concept so hard to grasp, especially for the grieving. Death is not kind, I thought, especially when it happens at the most opportune time to the most undeserving fellows. I remember thinking to myself while holding your hand, as the chemo was being administered to you, how can dying be so painful? How can it be so cruel, so terribly upsetting? There is so much life left to be lived. This has always been my regret. That there is still so much out there to be said, felt, touched; there is much love to be shared. Songs to be sung. Rides to be ridden. Buildings to be designed. By you. All by you. I could have been any one of the children in the story, tirelessly pouring coffee for Death just to delay the inevitable. Anythling to keep him up, anything to skirt my way around what he was supposed to do. I kept sending you positive messages on Viber. I was searching for survival stories of cancer on Google. I was watching videos of The Stylistics on YouTube and thinking we'd be able to sing those again. That was when I met an acquaintance, someone that lingered when Death was around. Denial, that's his name. He sat with me at the bench in your hospital room. He helped me review for Corpo midterms the entire time I was on "duty,” making me un-hear the unspoken between the lines of what the doctors and nurses said. It was him who made me hold on to the idea of life winning over death. But it was also him that made me unable to let things go. Denial made certain body parts ache in the middle of the night, thinking that you'd still be a Viber phone call away. Denial smoked cigarettes somewhere and made me take a whiff of it, reminding me of your nicotine breakfasts. Denial made me not want to think about going back to Singapore. He stopped making me wear the last few MAC lipsticks you bought me. He even made me stop listening to The Stylistics and Dionne Warwick. I didn't see you die in person. I didn't have to, though, to feel the weight on all my senses. You know how sometimes, when your laptop's battery is almost empty, the screen grows dimmer to conserve battery? That's how everything seemed. Still the same, but a tinge darker. Grayer. Of course I could go back to normal, of course to the outside world I was working just fine. But there are things only the night and I would know; just like the stories only you and I shared at midnight. Maybe Denial is a worse friend than Death. Death was kind enough, at least, to let you go in tranquility. Denial, at some point, made me want to choose you being in pain than you at peace but gone. But it wasn't Death that was causing you all those aches then, was it? It was life. And the many loves lost and gained along the way. Sigh, Tita Gina, how to make sense of your loss? Is it a disservice to your memory to try? Or to just let it go? I don't know what is the better way to honor you: to weep quietly even in well-lit rooms on sunny afternoons, or to swallow tears as I go shopping for new shoes. A year later and still no answers. But this I know: perhaps in the gaps between each sentence strung, or in the spaces filled in new shoes worn, there I'll find you. In blueprints, in song verses, in every slice of Conti's bananalicious pie, I'll hear your faint hellos. 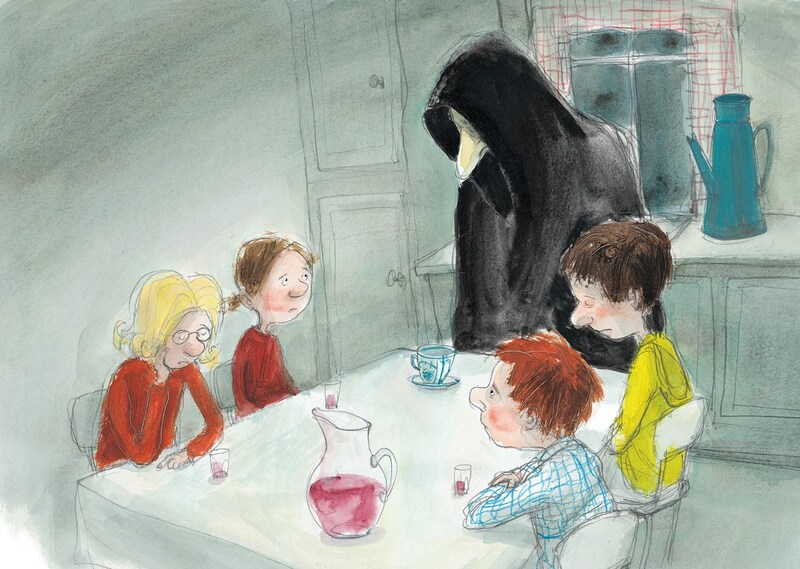 And when things are most difficult, I'll remember the look on Death's face - the Death on the children's book story I've been reading - and find small comfort in knowing that he was a friend to you. A better friend to you than I, or us, or life will ever be. Because Death has taken you away; but it has taken all your pains away too. A year is not enough to grieve. But it's enough time to experience an infinite number of resurrections from within. Each sad moment forces me to bring life to a sense of hope, a new spring. A sense of wonder. That maybe tomorrow will be better, that maybe flowers can still bloom even, and especially after, the longest, coldest nights. And if they don’t? Then it's okay too. Death doesn't come for the grieving; he comes for those whose lives he already deems well-lived. And what a life you've lived indeed.